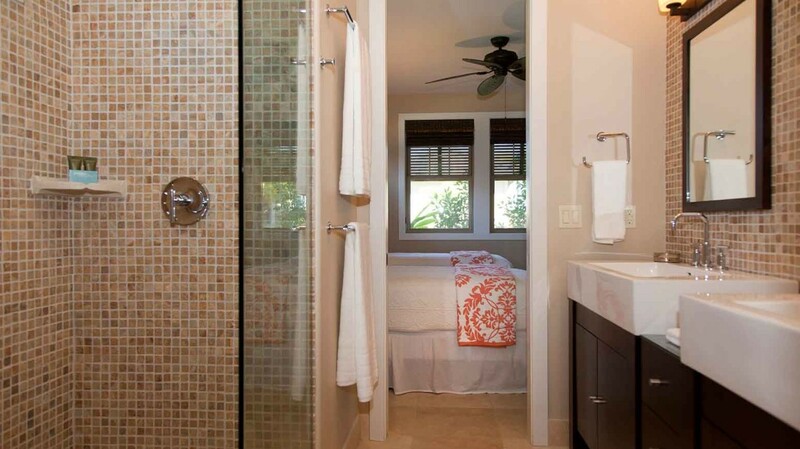 The Keanu is a single story home that is perfect for couples, friends or families. 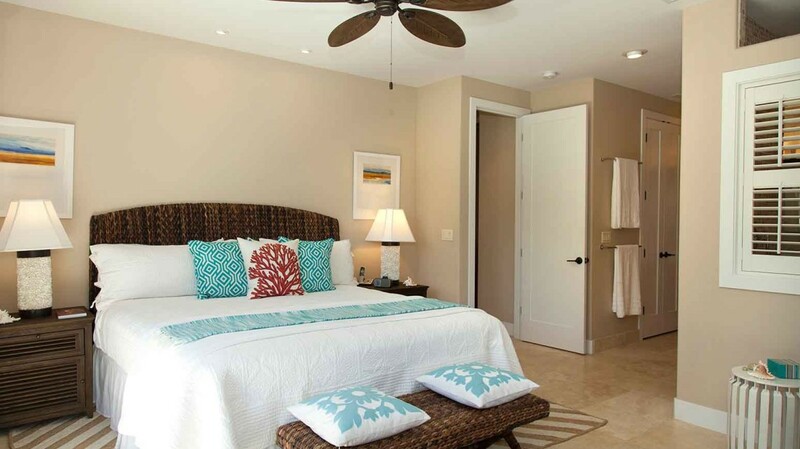 These cottage homes are clustered around a shared courtyard and mutliple homes can be reserved together for large groups or families. 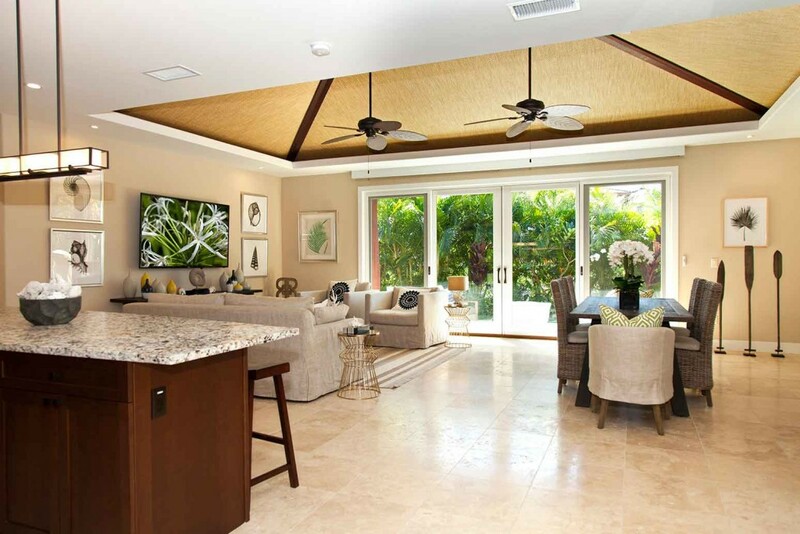 Inside quality surrounds you with dual Master Bedrooms, high valuted ceilings and a large great room opening into a private lanai. 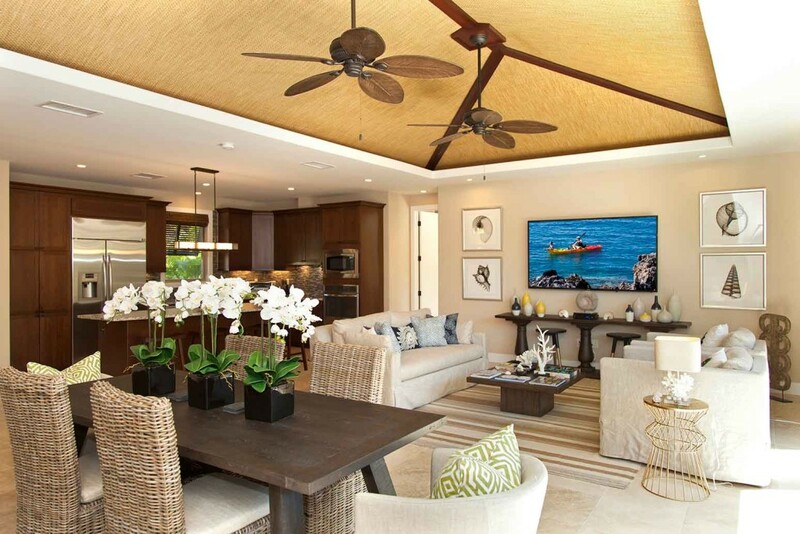 The Keanu model is a 3-bedroom, 3-bathroom home with island inspired architecture and plenty of room for families or groups. 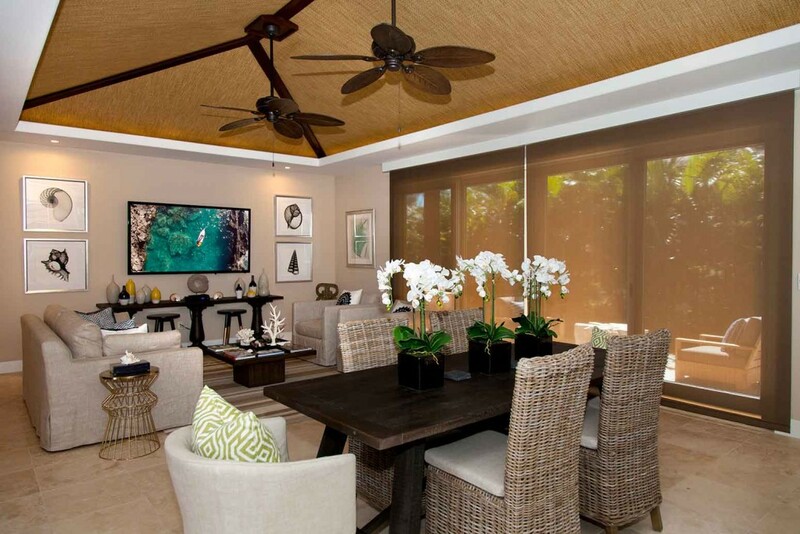 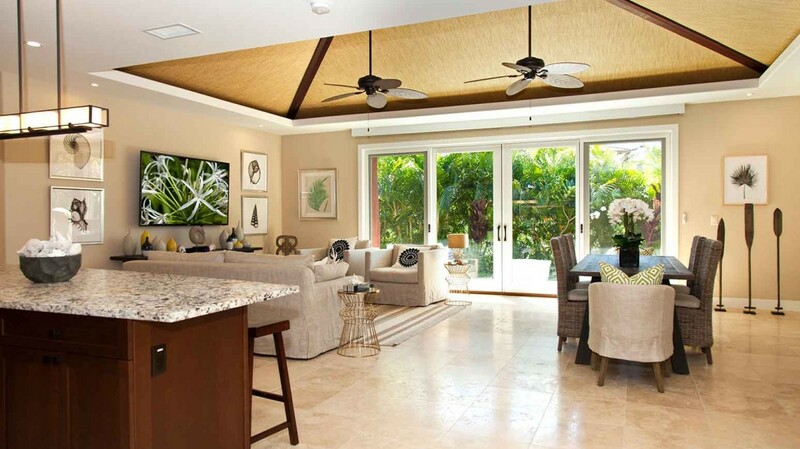 These homes sleep 6-8 people and feature an open floor plan with large great room, high vaulted ceilings, and a private Lanai that is perfect for private gatherings. 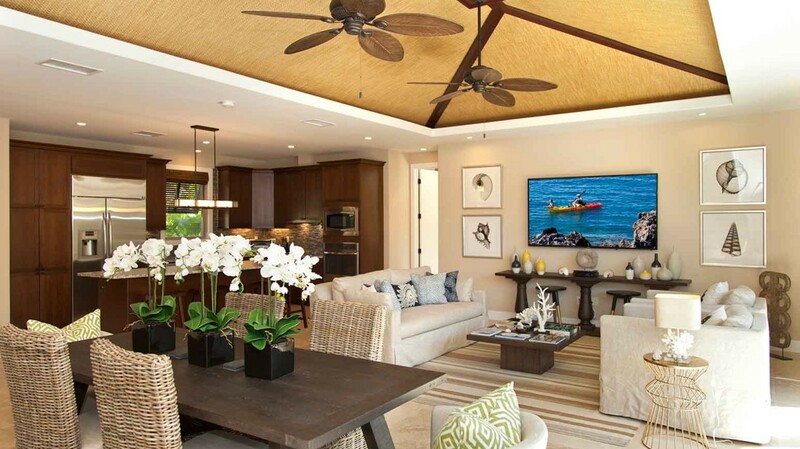 Keanu homes are designed around its large Great Room with dual master bedrooms situated on each end of the home. 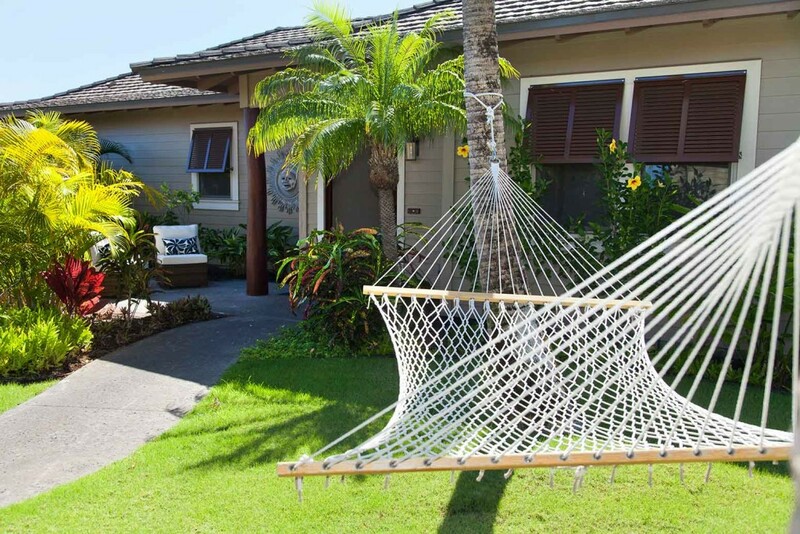 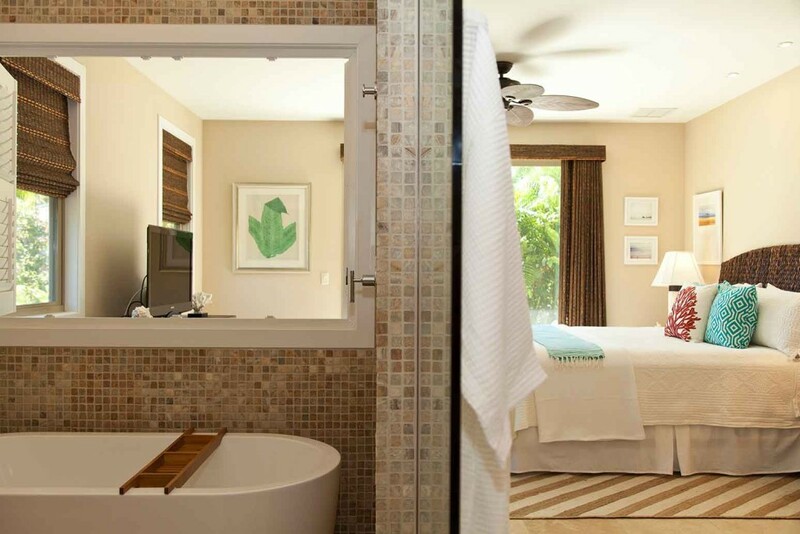 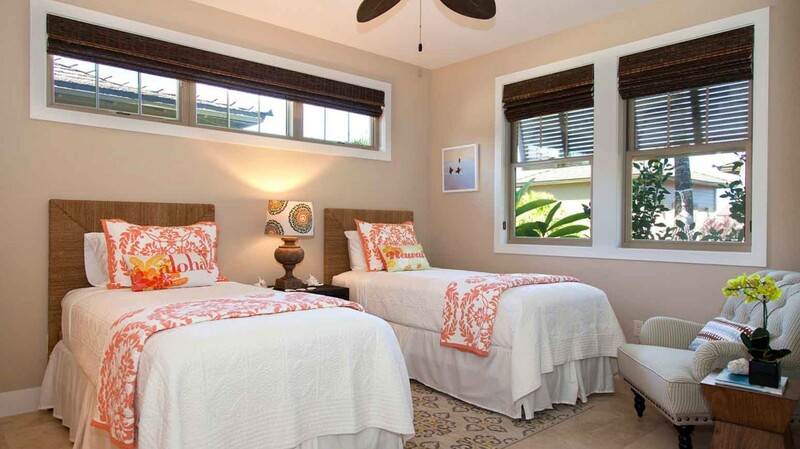 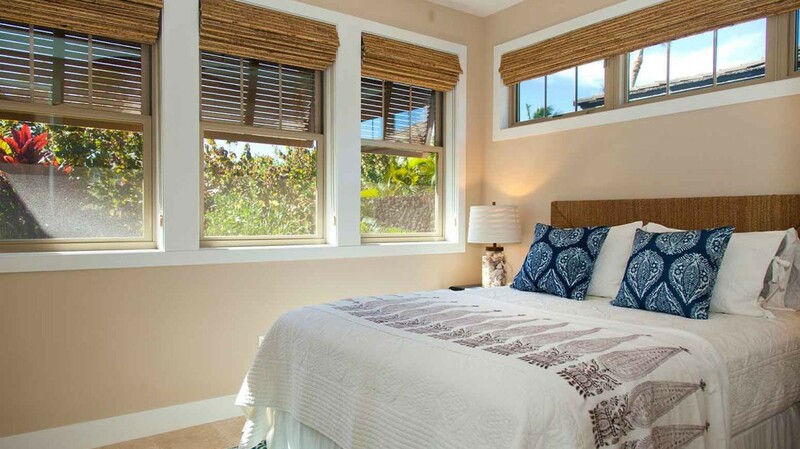 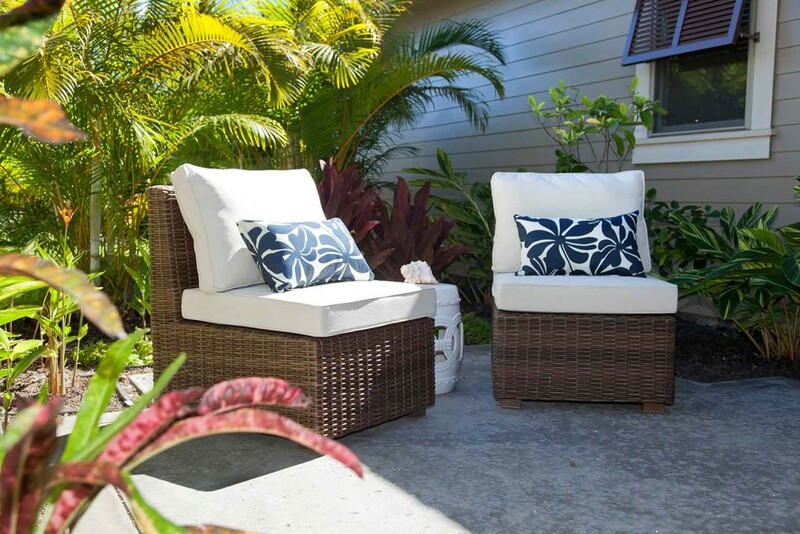 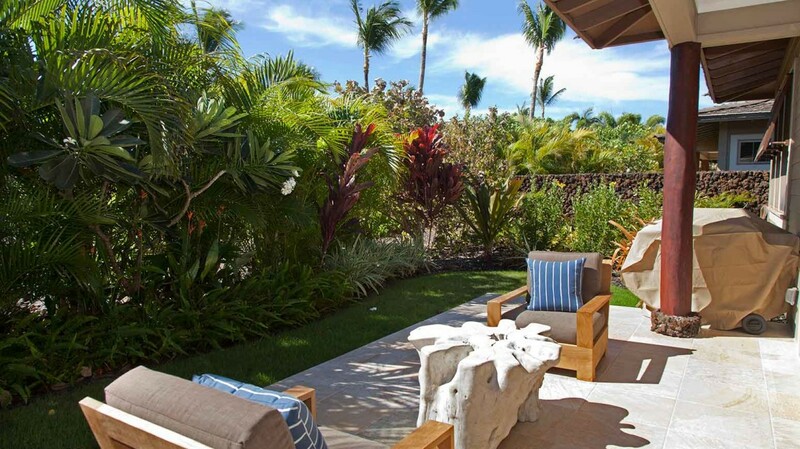 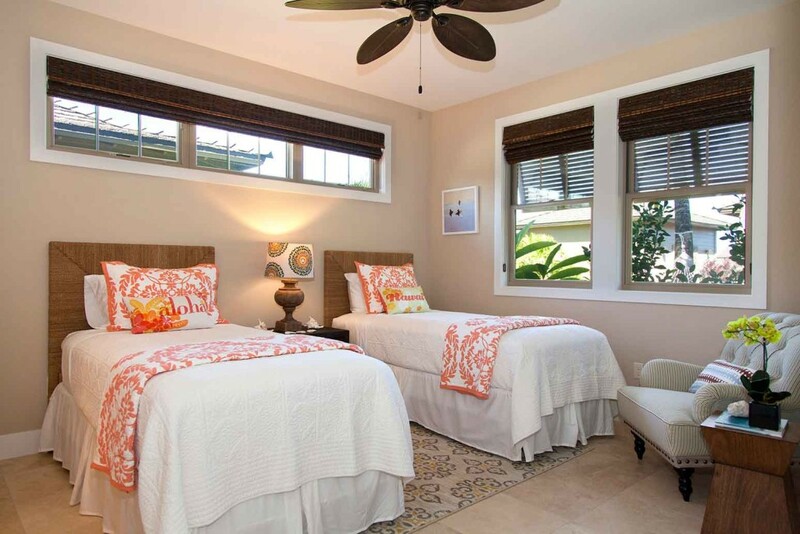 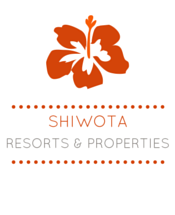 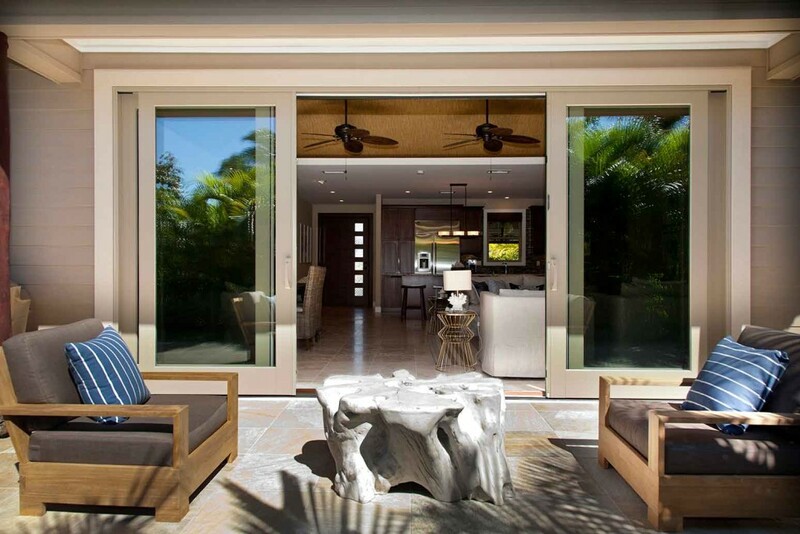 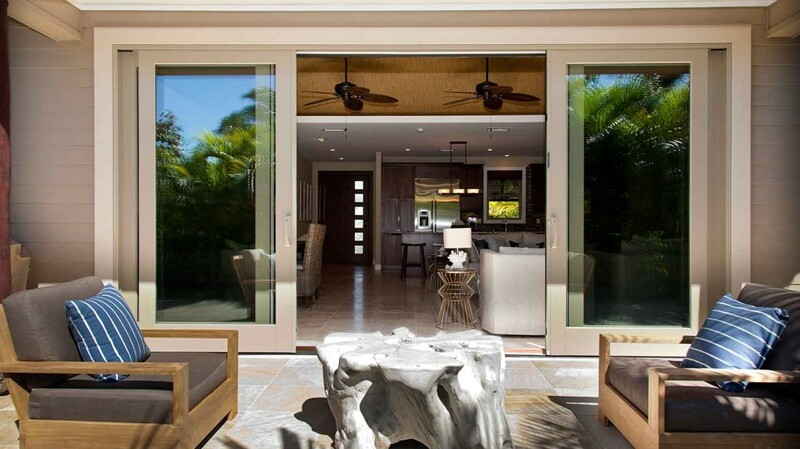 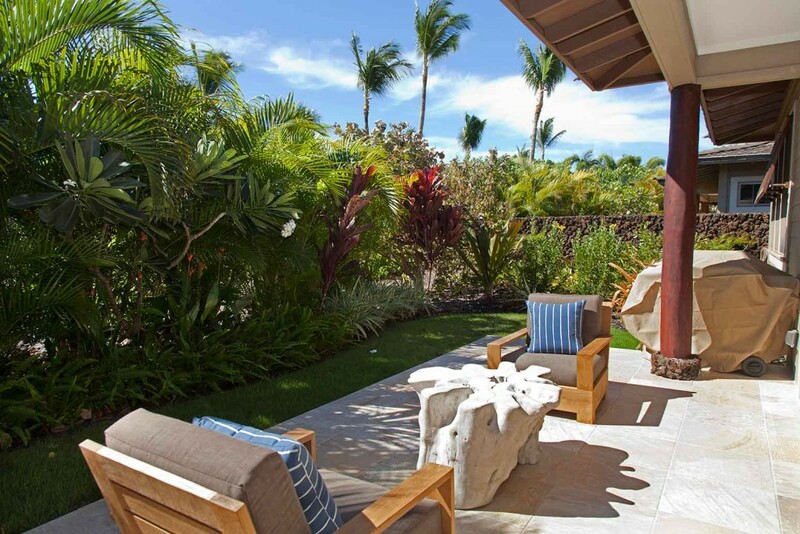 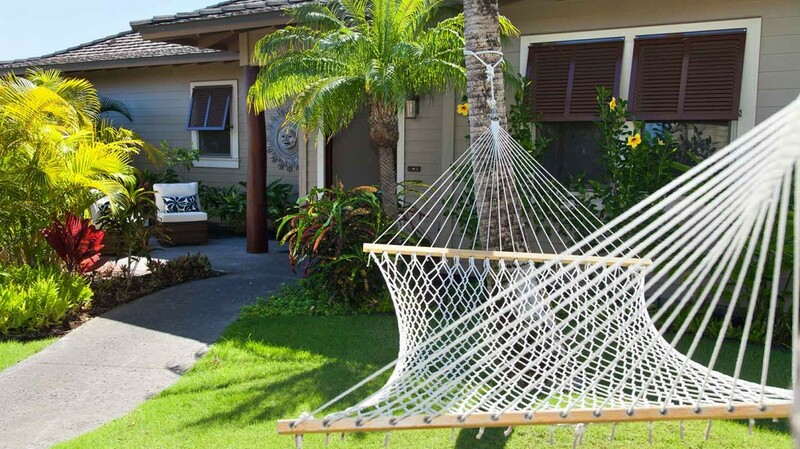 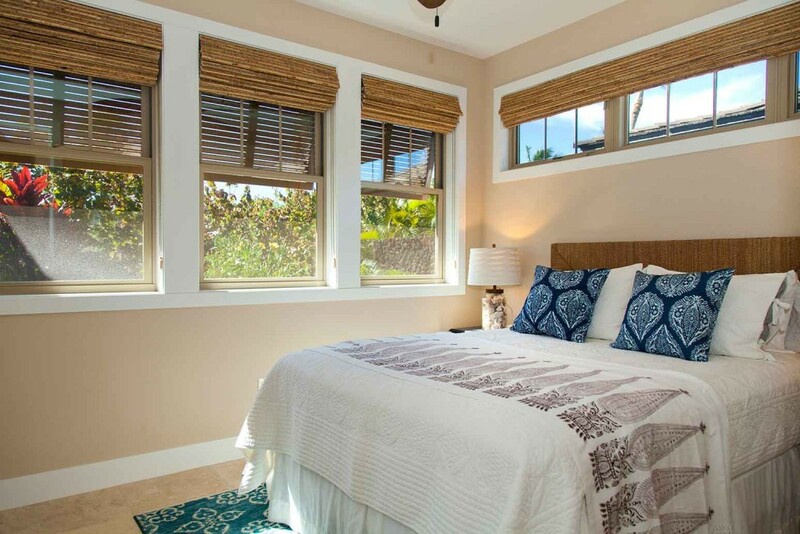 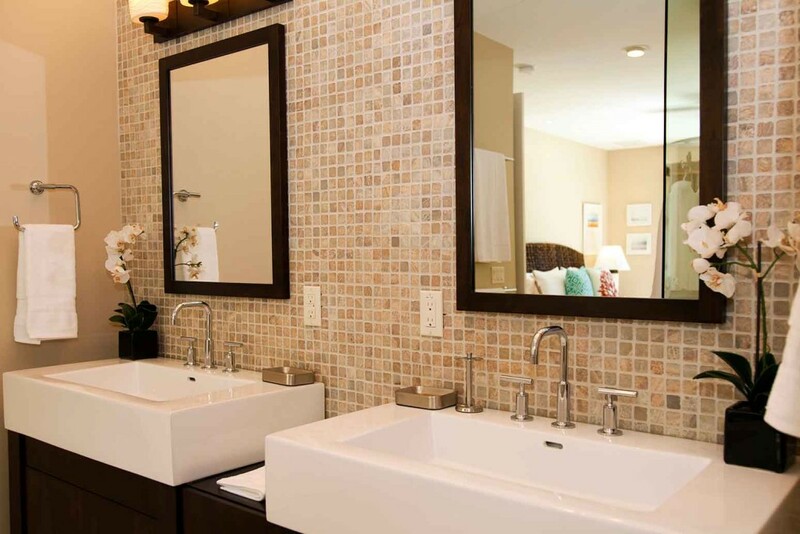 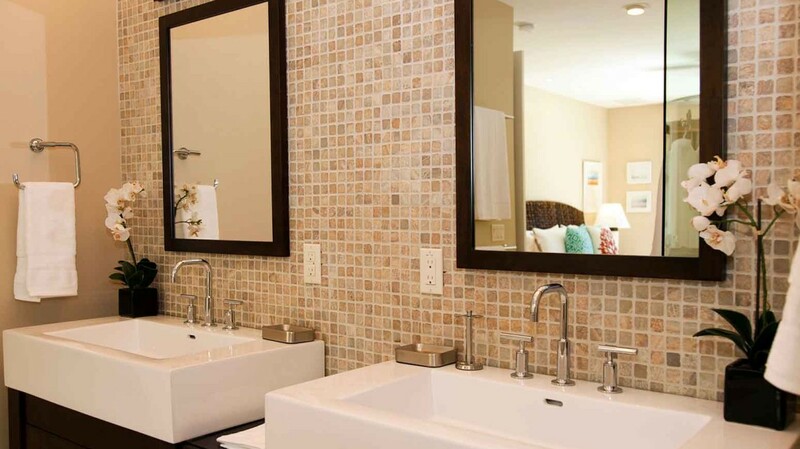 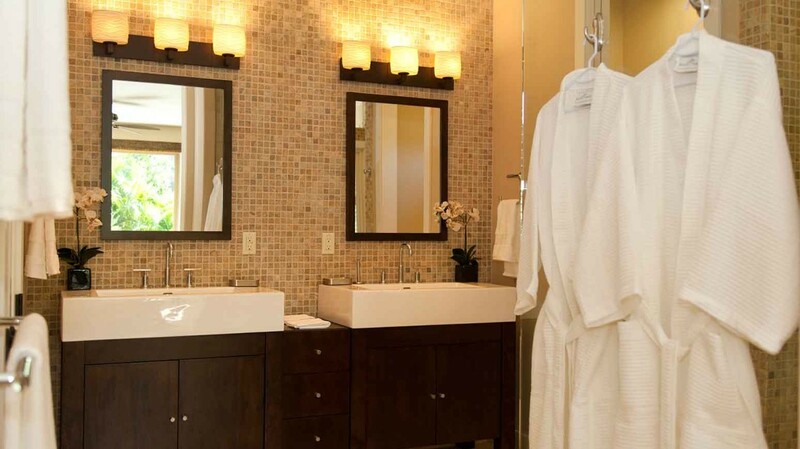 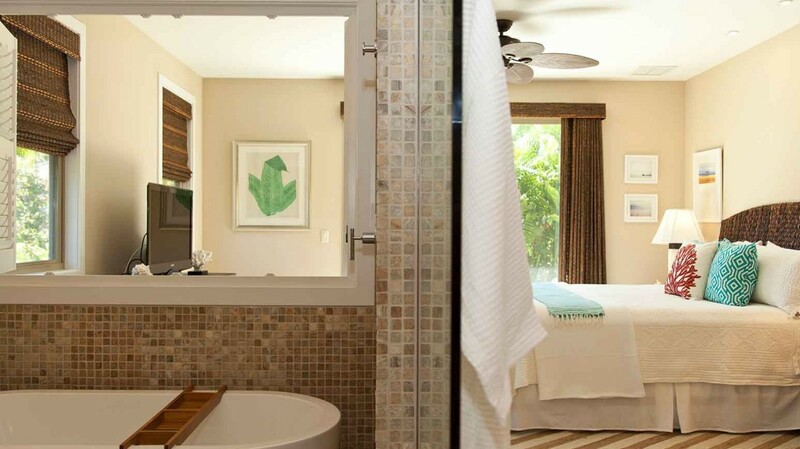 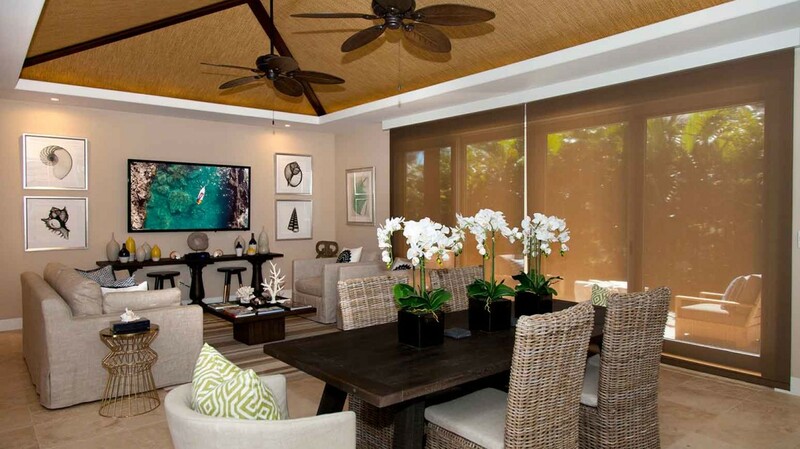 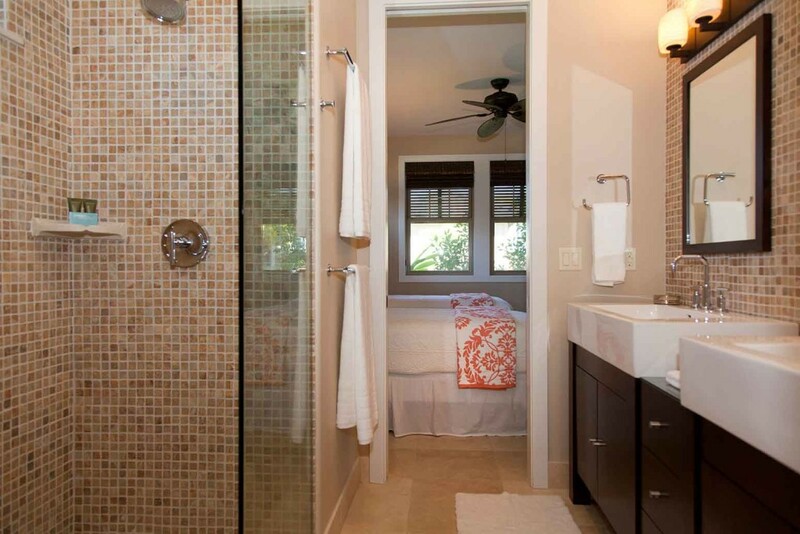 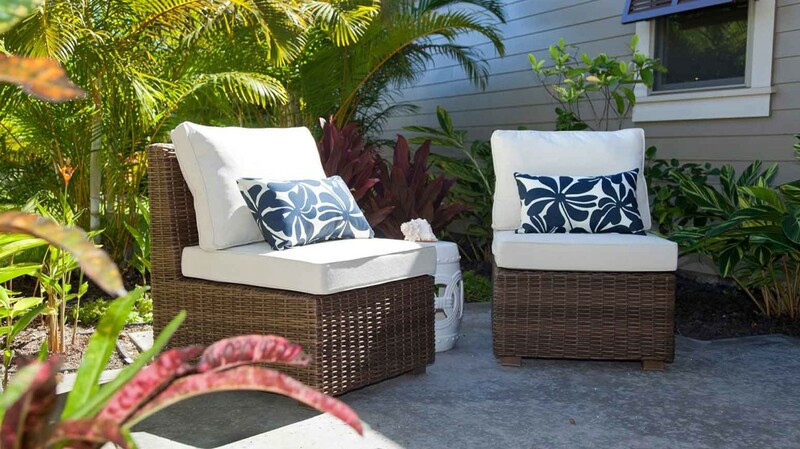 The main Master Suite is larger and has its own private Lanai and accompnaying master bathroom. 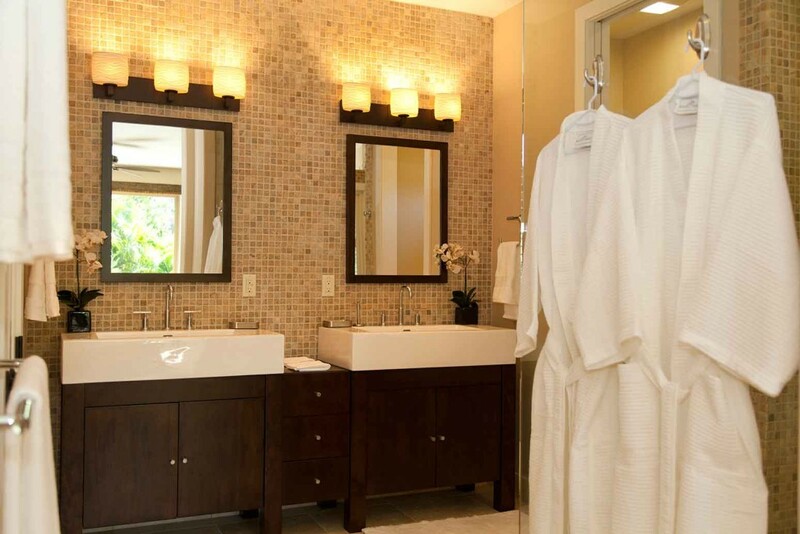 The guest Master Suite also has its own well appointed master bathroom and is situated across the house providing privacy for all guests. 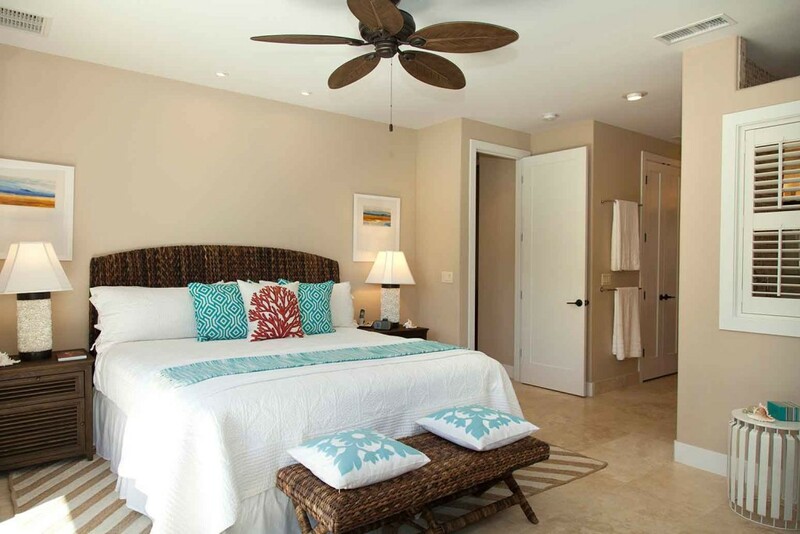 The 3rd bedroom is located away from both Master Suites and boasts privacy as there are no shared walls between the bedrooms. 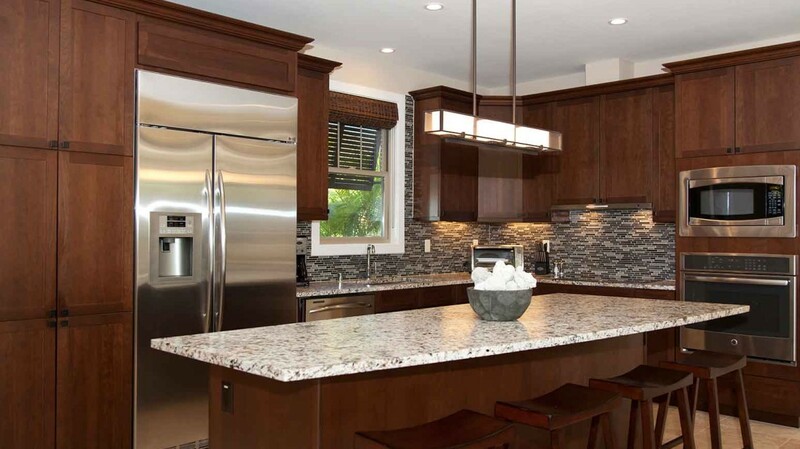 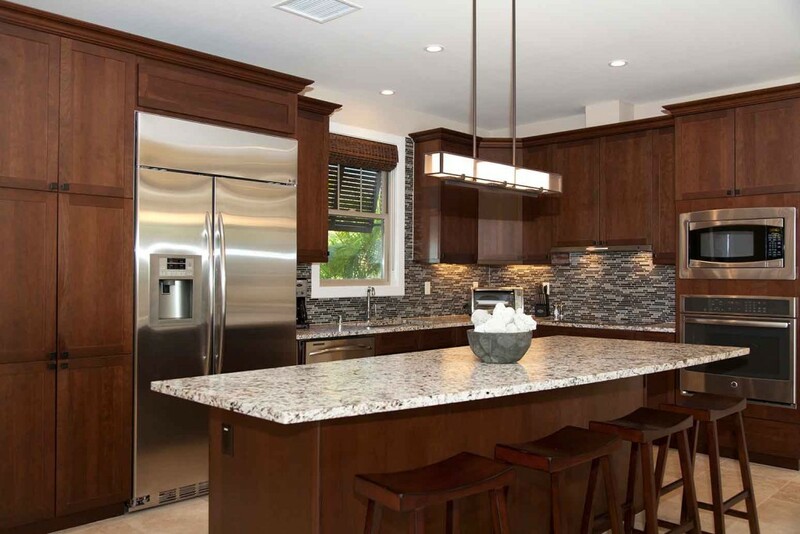 The gourmet kitchen is one of the the mains features of the Great Room and is well appointed with upgraded Bosch Thermador applicances and large granite countertops.